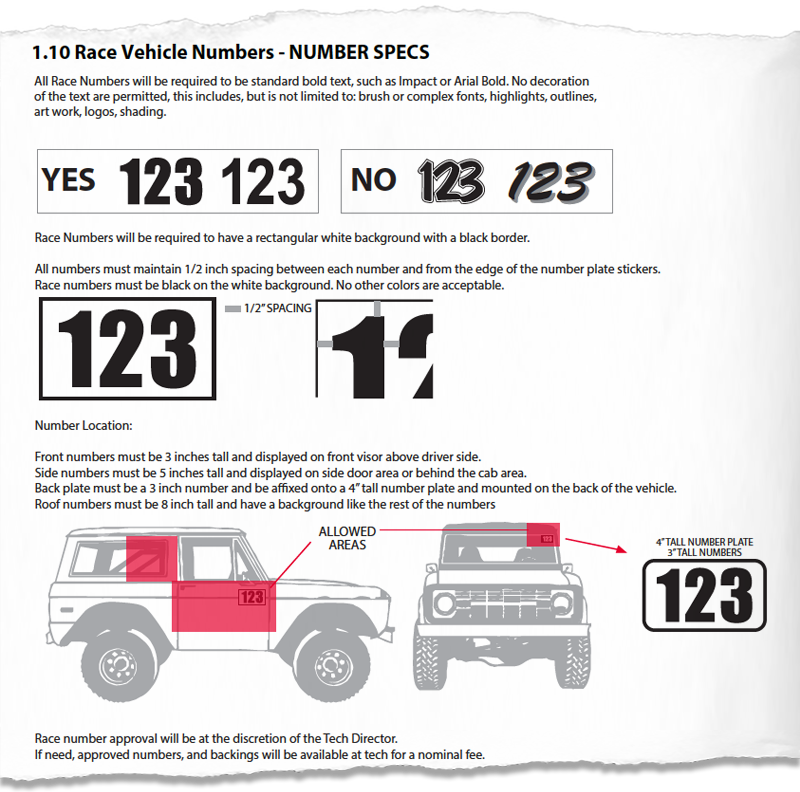 Thank you all for your help with the new vehicle number rules in our 2018 event. It was very helpful at TECH, for checkpoints, and staging! 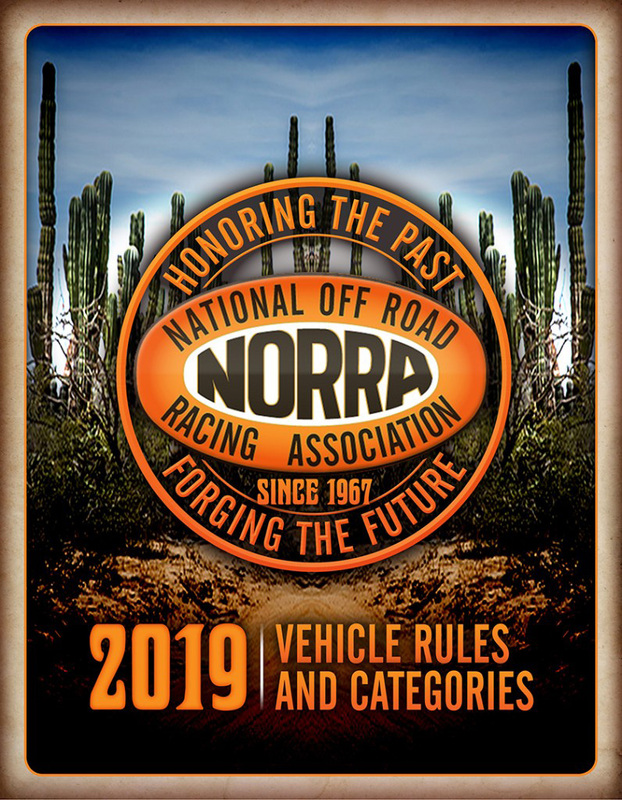 For the 2019 events, we ask that you are careful to prepare your vehicles numbering ahead of time and insist on conformity to the regulations in the 2019 Rules (1.10 Race Vehicle Numbers - NUMBER SPECS. pictured below). It is crucial that all side, front and roof numbers are easily visible, at all times, and in the required designated locations. 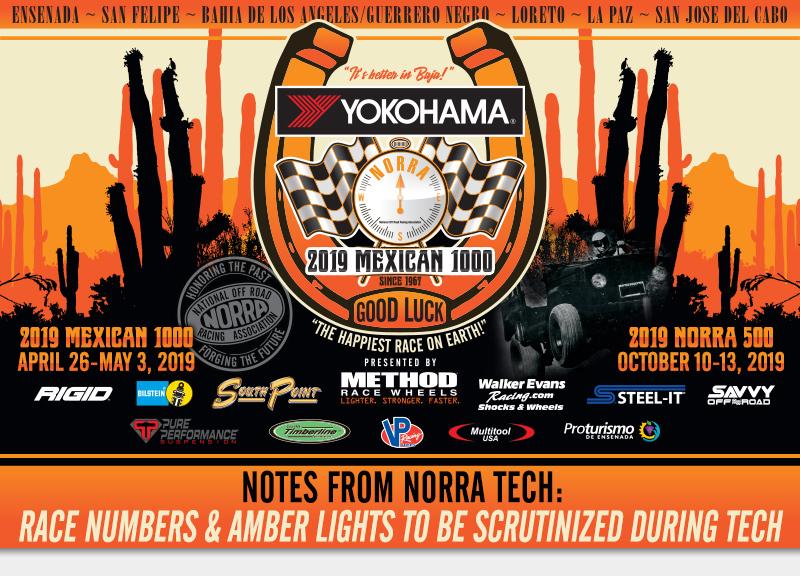 If you are not in conformance, you will be required to purchase backings and number stickers at TECH for a nominal fee. To avoid delay and make TECH go much smoother for all involved, including your team, prepare your numbering in accordance beforehand. Please pay close attention to the quality and placement of rear amber lights. Insure the lights are attached to the ignition, are bright and visible. 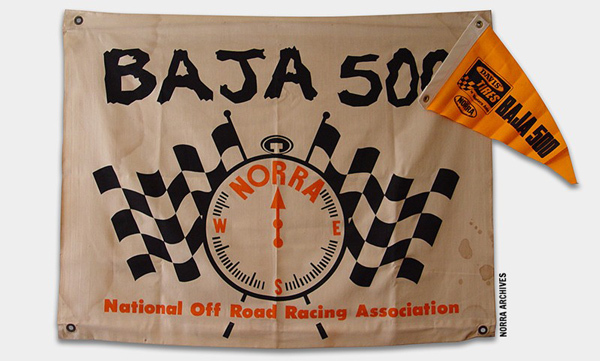 Your life and the lives of other racers depend on this safety feature of your race vehicle. TECH will be looking carefully at compliance to lighting rules, especially amber lights, and suggests a second back-up light be installed as a spare. Refer to section 4 in 2019 Rules (4.4 Electrical System/4.4.3 Lights - pictured below) for additional information. Compliance is required! Thank you all for doing your part to help keep this amazing event safe, and running smoothly!